Carlos Reygadas poses in front of the poster for his Jorgensen Filmmaker visit in the lobby of IU Cinema. Carlos Reygadas on stage with Assistant Professor Jonathan Risner during is Jorgensen Guest Filmmaker event at IU Cinema. 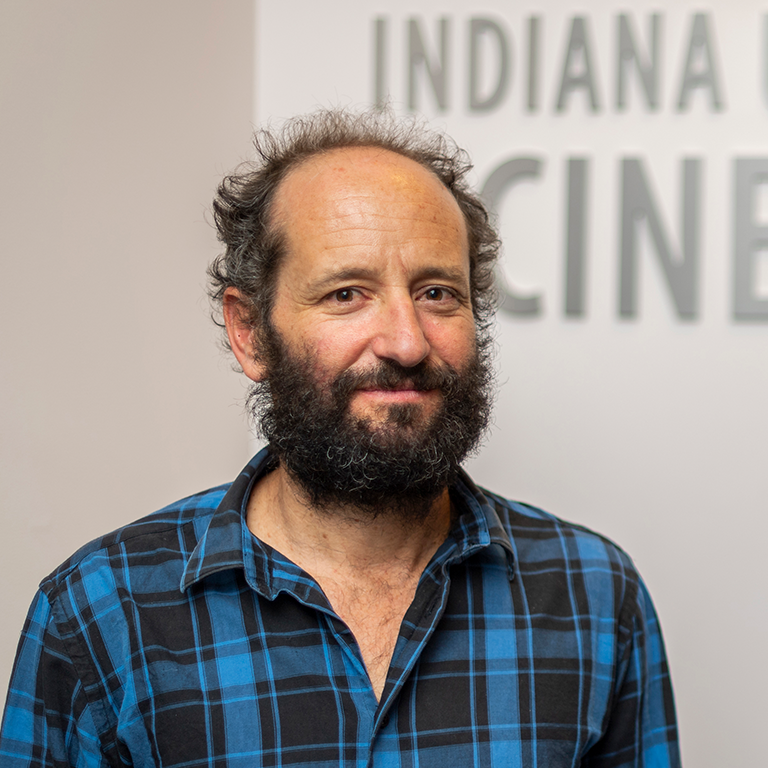 Carlos Reygadas talks on stage during is Jorgensen Guest Filmmaker event at IU Cinema.